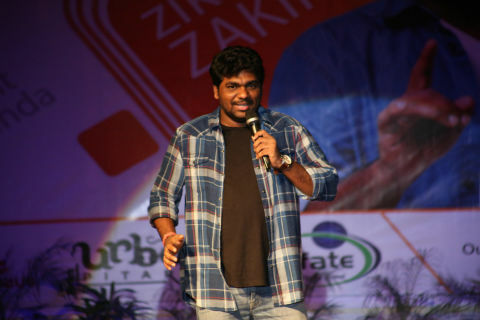 Jalandhar: Winner of India’s Best Stand-up Comedian competition, Zakir Khan reached Lovely Professional University and made students and members of staff roll in great grins and laughs. LPU students’ organization ‘United Nations Youth Community had organized the mammoth comedy show to be in relaxation amid professional courses’ tough environment. 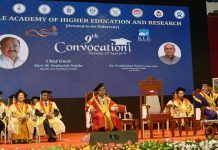 Using humour expertly and with sharpening of the comedic senses, Zakir also pointed out what is wrong existing in the society. He used popular genres of comedy including satire, lampooning, caricaturing, storytelling and observational comedy. Zakir has gained popularity on social media and completed his one million subscribers on Youtube with “Haq Se Single”. Interacting with students, he shared that he is always a true inspiration to singles and heart- broken persons. Proud to be a single, he also presented incredible performance about relationship statuses of youth. Zakir advised students to preserve good memories and recall them when things are not going right. Memories of good times give you warmth and keep you going no matter what.